Back in the day, Labor Day Weekend was one of the most highly anticipated times of the year. 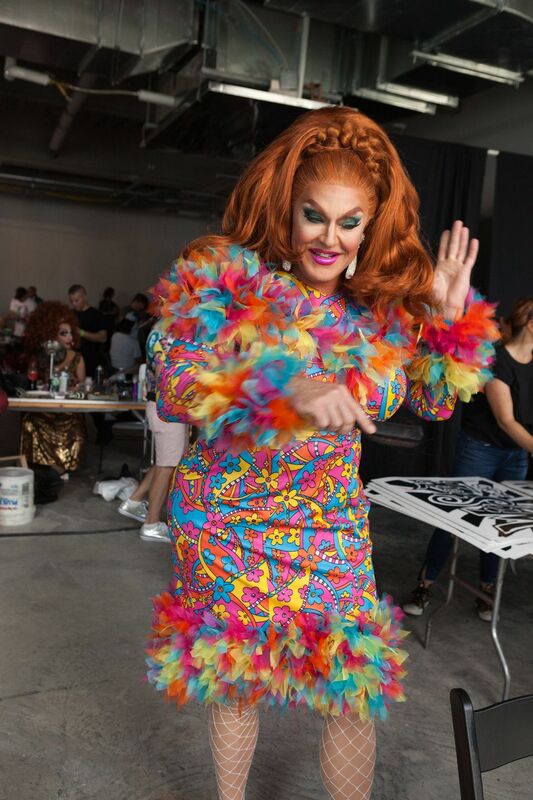 Not because people loved a day off work but because all of downtown New York City would converge on Wigstock, the outdoor drag festival hosted by the legendary Lady Bunny. Wigstock was founded in 1984 when Bunny, co-founder Scott Lifshutz and some friends drunkenly left the Pyramid Club on Avenue A, a home for some of the most creative drag in town. At one point it attracted 50,000 spectators with performers like Deee-Lite and RuPaul and became a documentary, Wigstock: The Movie. The party ended in the late '90s, but a few years ago Wigstock came back as a cruise around Manhattan. This year Bunny teamed up with TV and stage star Neil Patrick Harris to bring Wigstock back to dry land at Pier 17 near Southstreet Seaport. A cavalcade of queens old and new performed including Bianca Del Rio, Alaska, Lypsinka, Dina Martina, Mona Foot, Michael Musto and more. We captured all the magic, below.